7 Dirty "SpongeBob" Jokes That'll Make You Say, "How'd They Air That?!" Hold on to your hats kids. 1. First, this very ~interesting~ cake that SpongeBob got Patrick for his birthday. To his credit, SpongeBob tried to get one that said just "Happy Birthday," but this was the only thing the bakery had. @appleg2014 I'm allowed to make the scabies joke 'cause it comes from personal experience. My 10 year old self was delighted w/ that one. 4. Then we have this little Easter egg: You'll notice that the "h" is the only letter lowercased. What happens if you remove that "h" from Chum bucket? You get something ENTIRELY different and well, you can read. 5. 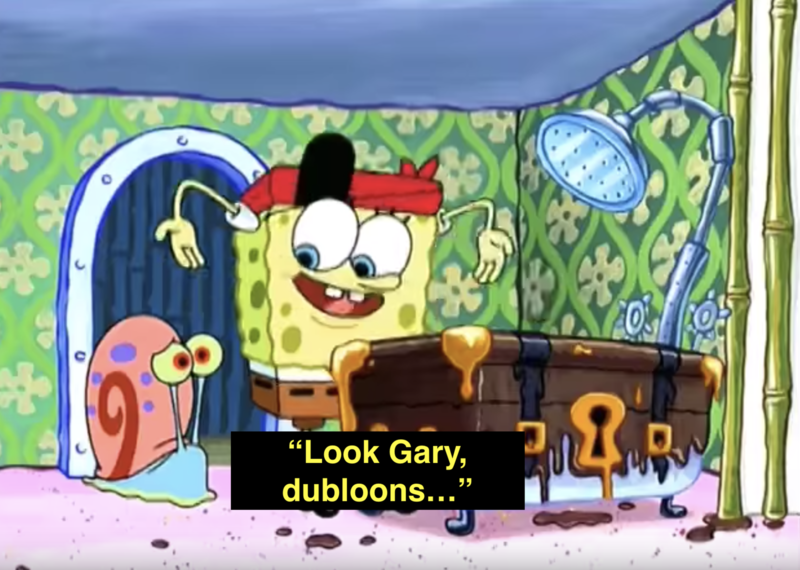 In this scene SpongeBob and Gary are in the bathroom and Gary thinks a treasure chest is a bathtub. 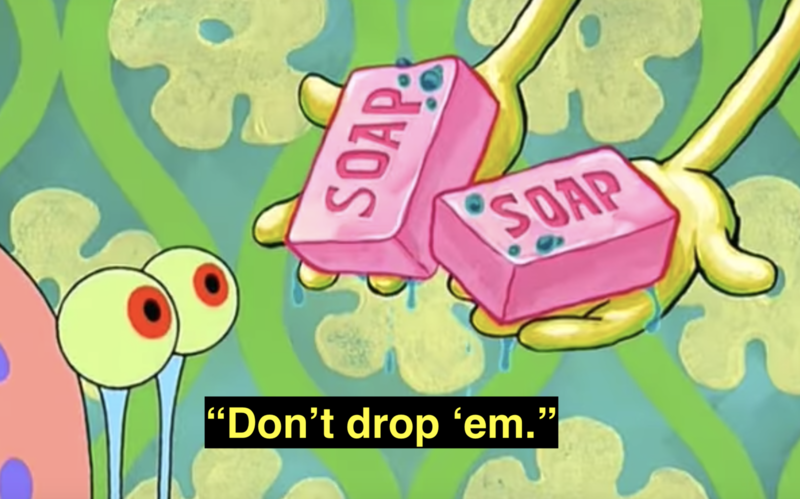 SpongeBob quickly corrects him but reminds him not to drop 'em. 6. In this scene, SpongeBob tells Mrs. Puff, "see you next Tuesday." The phrase is a common euphemism for the "c-word." Thank you for reading and I apologize again.